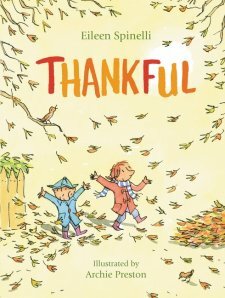 I love this book about being thankful for the little things! The charming illustrations show a sister and brother playing dress-up, helping with chores, and generally enjoying themselves, while the corresponding rhyme imaginatively describes the alternate reality of “pretend” that they are reenacting or experiencing. The result is an unusual depth of empathy and thankfulness amidst the simplicity of the story and pictures. Moreover, the simple rhythmic text is perfect for young readers. My five year old has enjoyed reading this to me, while both he and his younger brother find the illustrations interesting and funny. This is a book with a great, multi-layered message, that our whole family enjoys. I received a complimentary copy of this book from Zonderkids.